Who Controls the World’s Food Supply? When the United States was founded in the 1700s, and when Thomas Jefferson served as President of the United States, about 90% of the U.S. population was employed in agriculture. By the time of the Civil War, when Abraham Lincoln served as President of the United States, about 50% of the population was employed in agriculture. After the industrial boom, brought about by World War II, the percentage of those employed in agriculture started dropping significantly. Today, less than 1% of our population is employed in agriculture and most of the food sold in the U.S., and even around the world, is controlled by just a handful of companies. At the bottom of the food chain, of course, are the seeds. No seeds, no food. The world’s largest seed company, Monsanto, accounts for almost one-quarter (23%) of the global proprietary seed market. Many Internet and news sources that expose these kinds of facts and statistics typically blame capitalism for creating these large food monopolies and advocate government action to correct it. But what they fail to realize is that government created this problem to begin with! Government certainly will have a role in solving the problem, but expecting government to right the wrongs that have led us to the place we are in today is like putting the fox in charge of the hen house. Capitalism did not create this problem. This problem exists today because of corruption in government which gives political power and protection to these corporations, allowing them to prosper when they never would have survived in a truly free market. So if you want to identify the problem of our food supply today, look no further than the hand that is pointing fingers at others, or casting stones at popular targets like Monsanto. First of all, the market exists for cheap commodity food because consumers buy it. Secondly, the “cheap food” is really not cheap at all, but rather subsidized by YOUR tax dollars, which is what keeps these corporations operating. Sure, it is a behemoth of a problem to change, but let’s face it: if you don’t even understand what the underlying problems are, you will keep moaning and groaning about things like labeling GMO foods and miss the main underlying factors that exist to allow this corrupt system to continue. A Depression-era program intended to save American farmers from ruin has grown into a 21st-century crutch enabling affluent growers and financial institutions to thrive at taxpayer expense. 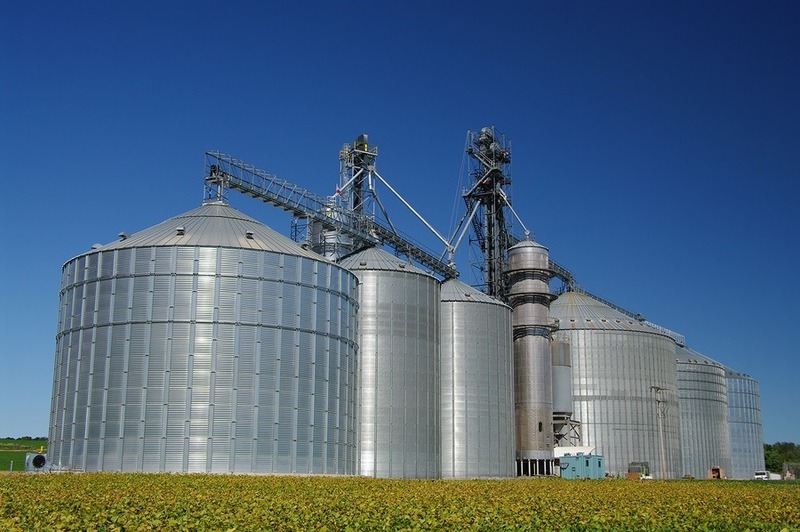 Federal crop insurance encourages farmers to gamble on risky plantings in a program that has been marred by fraud and that illustrates why government spending is so difficult to control. The arrangement is a good deal for everyone but taxpayers. The government pays 18 approved insurance companies to run the program, pays farmers to buy coverage and pays the bills if losses exceed predetermined limits. Understanding the role government and tax subsidies have had in creating these large food monopolies is essential to understanding the core issues and that capitalism itself is not the problem. But looking for a purely government solution is not the total answer either. Fortunately, the U.S. government does not own everything, yet. 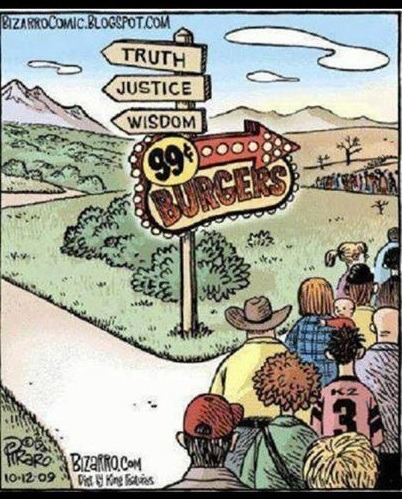 We still live in a consumer-based society, even though our choices for food are dwindling fast. Americans, more so than Europeans and citizens of other countries, are by and large completely ignorant about what they are actually eating. That needs to change. Cheap food is cheap for a reason, and it was just spelled out above. If you don’t want the government in bed with government-subsidized food monopolies, controlling the food supply and turning everything over to GMO foods, then you need to change your buying and eating habits. I remember a time many years ago when McDonald’s still hung a number of “burgers served” on their signs, and when eating out there was considered a “treat”, as it was more expensive than eating at home. This is back when their french fries were still fried in a beef tallow fat, a healthy (back then) by-product of the booming beef industry they were creating. Unfortunately, the government wiped out the healthy fat industry by proclaiming that saturated fats were bad (many imported from tropical countries like palm oil and coconut oil which cannot be subsidized and controlled), and that polyunsaturated fats from the subsidized crops of soy and corn, were healthy. But how things have changed today! Now, fast food restaurants are for the most part cheaper to eat at than buying fresh food and preparing your own meals, and people make it their daily diet. Obesity (and many diseases) can be almost directly correlated with the USDA dietary guidelines, which promote the cheap subsidized crops. So you can moan and groan all you want about unhealthy food, lack of GMO labeling, and many other problems with our food choices, but they exist and continue today largely because of YOU, the American consumer, who buys and eats their products, and also subsidizes them with your tax dollars. The solution is actually very clear and very simple, even though it may take a long time to implement due to the lack of people employed in agriculture today. Stop eating cheap commodity food!! If you don’t buy it, they can’t sell it. It really is that simple. Stop complaining about how expensive REAL food costs! 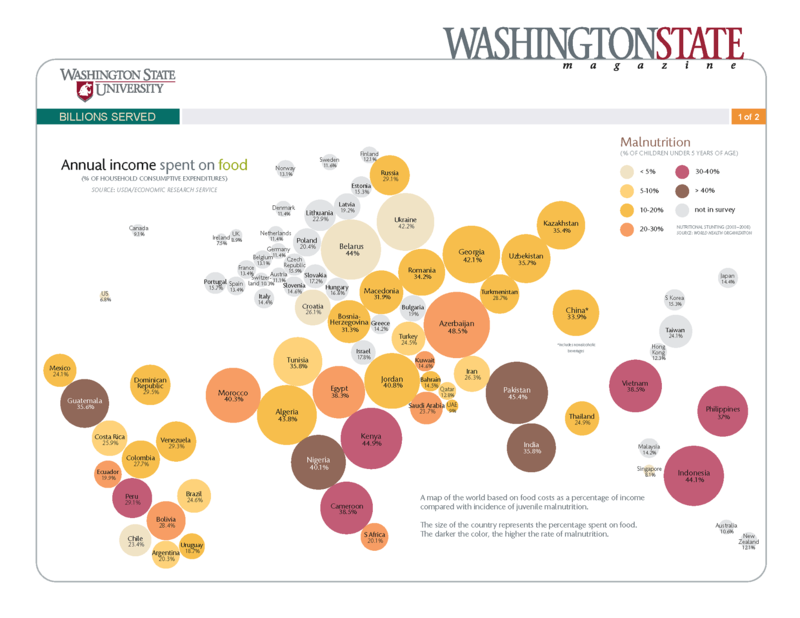 Americans are the richest people on the face of the planet, and yet spend the least amount of money on food. 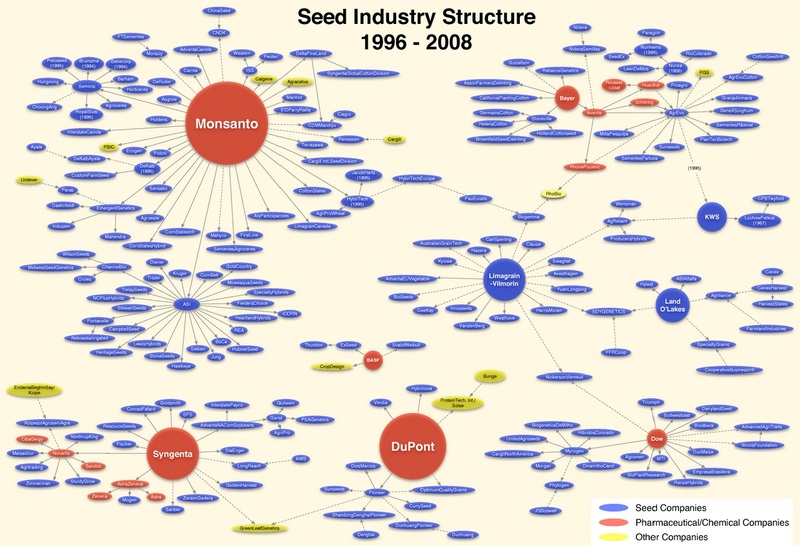 Who has the most power in America to change the Agri Business takeover of our food supply? You do! The consumer still drives the economy, and if American consumers wake up and decide they don’t want cheap government subsidized junk food, and start demanding healthier food they are willing to pay more for, it will create new markets and new business opportunities for those who want to produce and supply healthier food. But if consumers start waking up and stop buying the cheap government-subsidized junk food that is making America sick, don’t expect that it will be easy, and that the government-backed corporate monopolies will just admit defeat and go away. They will fight, and that fight has already begun. Why do you think federal agencies like the FDA are spending vast amounts of resources attacking small-scale family farms, such as those who sell raw milk directly to consumers? Raw milk is no more unsafe than any other raw product you can buy in local grocery chains. Green leafy vegetables like spinach cause the highest number of food-borne illnesses in America, making the produce section of large grocery stores the most dangerous section of the store. Commodity meats like chicken are full of salmonella, but when they are cooked illnesses are minimized. No, raw milk dairy farmers are being attacked NOT because they sell a dangerous product (statistics show other raw foods commonly found in grocery stores are far more dangerous), but because they are bypassing the milk pools that are subsidized by the government to produce cheap dairy products, and are earning a fair price on a healthy product. The dairy industry subsidies for 2012 were almost a half billion dollars, and you can see above that the top 3 subsidized crops of corn, soy, and wheat totaling $5.3 BILLION goes mainly into animal feed for CAFOs producing dairy and beef. Therefore, when a dairy farmer sells a premium product from a small-scale operation where the cows eat mostly grass as opposed to grain, and that milk is fresh from the cow, not processed, and is actually healthy for you, it upsets the cart in so many ways! It bypasses Big Dairy’s subsidized prices for milk, it bypasses the need for subsidized grains, and, perhaps most of important of all, it leads to health instead of sickness, taking business away from subsidized Big Pharma who profits from your illness. When you buy products such as raw milk directly from a farmer instead of subsidized, cheaper, and less healthy products like the majority of foods found in grocery stores, you’re a rebel bucking the system and taking away corporate profits and reducing the need for government subsidies. You are also giving economic incentive for others to become the same kind of farmer/producer who supplies healthy food. 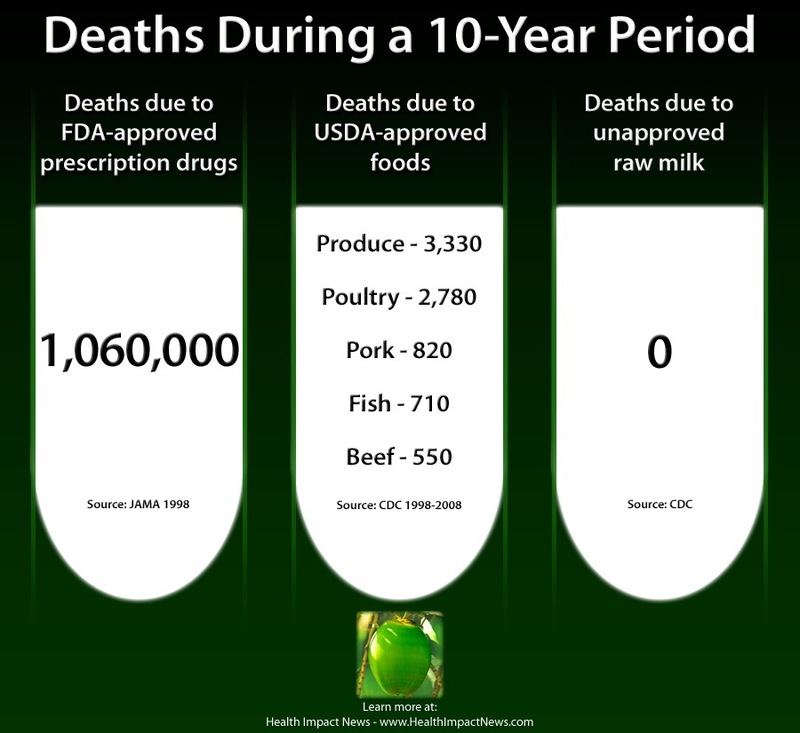 So don’t ever think the raw milk battle being fought all across America today is a food safety issue. It is not. If you are concerned about pathogens in raw milk, just boil it!! At least you still have REAL unprocessed whole milk, where the cream separates because it is not homogenized. The fat in milk is very healthy if comes from a healthy cow, and it is the most desirable and valuable component. So when you buy cheap subsidized “whole” milk at a grocery store you are still only getting about 4% cream that has been added back in. 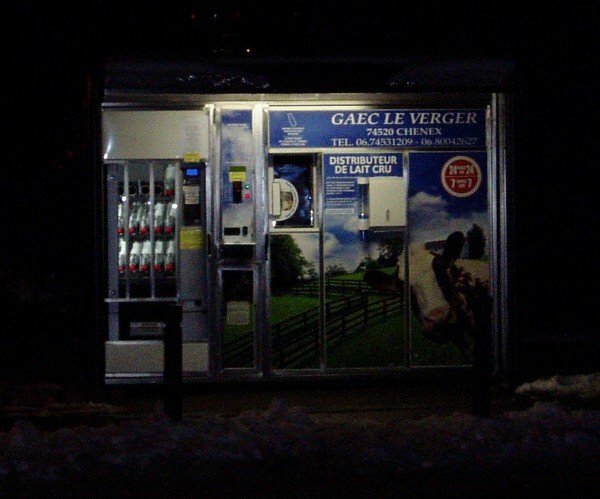 Fresh-from-the-cow milk, like from Jersey cows, can be 25% cream or more! But how many Americans even know such simple basic facts about dairy as this?? The battle over raw milk sales directly from the farm is just one battle in the fight over who controls the food supply, and consumers better understand this, whether they want to drink raw milk or not. This is a fight that will only grow and intensify as the government goes after other producers of healthy food that try and bypass the corporate system and become popular with consumers. The folks in government and Agri Business know full well what is at stake here. They are not too bothered by all the negative press they receive in the alternative news media either, as they know it just fosters a defeatist attitude among consumers who believe that capitalism is the cause of the problem, and that the large corporations are just too powerful to allow any change. 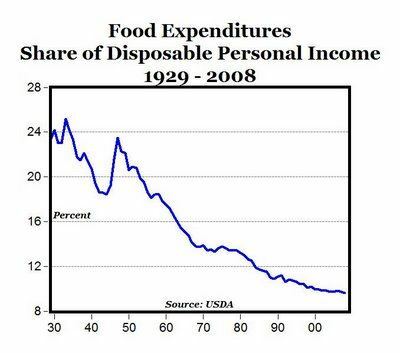 Make no mistake here: the future of America’s food supply is mostly dependent upon YOU, the consumer! You need to understand the real problems with how we got to this point today, and you need to become an activist ready to fight for your right to choose and purchase healthy food. Because if Americans don’t wake up soon, the government will control everything, supporting their food systems via your tax dollars which you then purchase with the money you have left over after paying taxes. And much of the rest of your money, after paying more taxes to fund Obamacare, will go into the Big Pharma medical system for products to treat all your illnesses, many of which are related to eating unhealthy food.